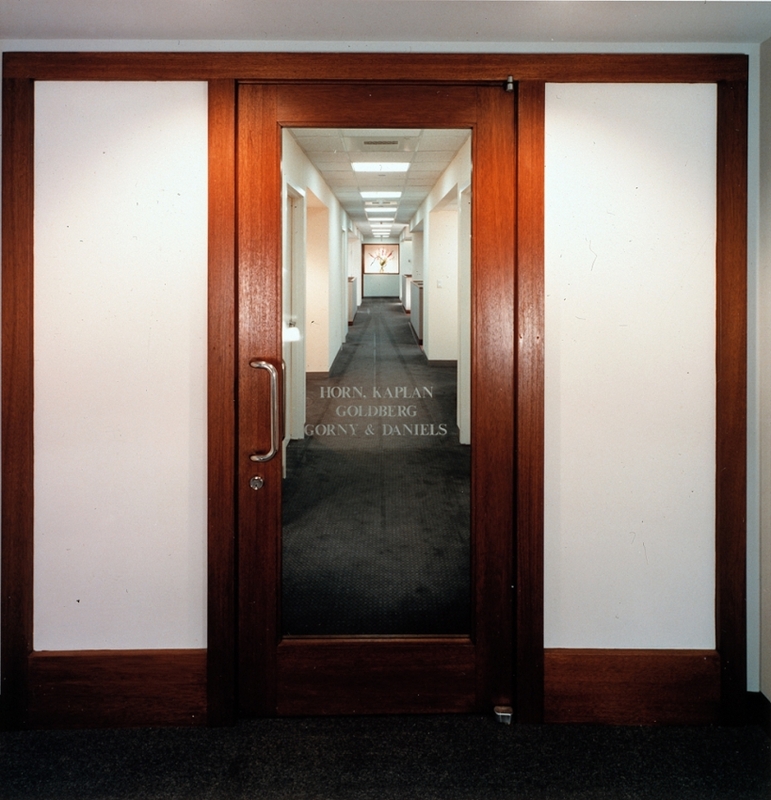 With a 12,000-square-foot main office designed by Richard M. Cole & Associates, the law firm of Horn, Kaplan, Goldberg, Gorny & Daniels turned once again to RMC&A when it needed an additional 10,000 square feet to accommodate 20 lawyers, paralegals and support staff. The commission was for comprehensive planning, architectural, engineering and interior design services necessary to transform raw space into a productive work environment. RMC&A used the large, round support columns throughout the space as organizing elements to promote an efficient workflow. Workstations for support staff are clustered in proximity to the attorneys' offices. 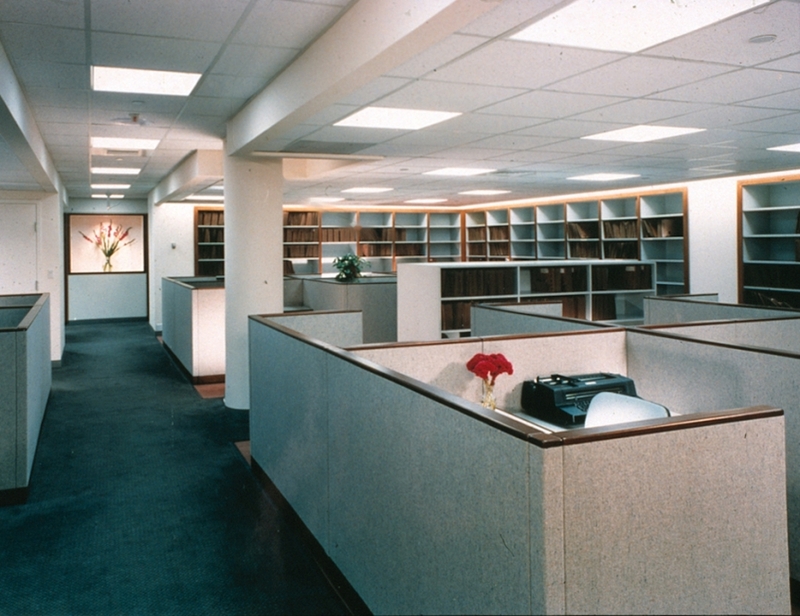 A lowered ceiling and dropped soffit are used to offset these stations from the main corridors, where paralegals have their workstations. 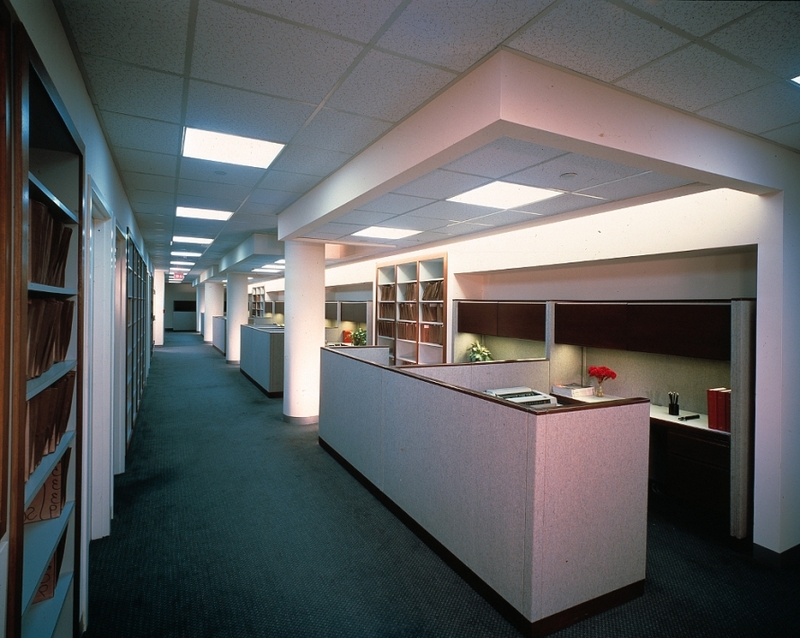 Good lighting, abundant shelving and handsome materials all contribute to an efficient and attractive office design.